When you get to the last 100 pages or so of a book and realize how much you don’t want it to end, you know you’ve found a good one. When you find yourself realizing that an author has just nailed a time and place — and you find yourself magically taken back to that time and place — well, that’s just incredible. 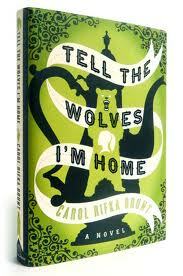 And Carol Rifka Brunt has done just that in her debut novel Tell the Wolves I’m Home. And she kept me on the hook as she walked me back down the memories of what it was like to grow up in the 80s during the AIDS Crisis. I’ve often tried to explain to the kids I work with what it was like to grow up during this time period in which I truly believed Ronald Reagan hovered over some type of red plunger-type button, waiting to start World War III (“Wargames” anyone? ), and that if I even had a gay person look at me, I would become infected with AIDS. My students look at me like I’ve got a second head on my shoulders when I tell them that. They truly think that I’m making it up; after all, how could either of those scenarios possibly be true? And yet, they both were. And I was as homophobic as the next guy. I certainly wasn’t raised that way, but I bought in to the mass produced hysteria we were sold. Brunt nailed the description of the original news reports that always seemed to have B-Roll of some seedy gay nightclub, guys dancing around in leather chaps and leather hats. Evidently, the guys from the Village People were at every gay club in the US. I look back on those days and seriously cringe at the thought. 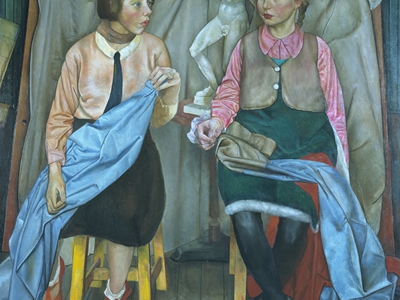 So, against this backdrop, I understand June and Greta Elbus. While I didn’t have an uncle with AIDS, because Brunt painted such a vivid picture of these siblings, I was able to see my brother Jantson and I going through a situation such as this. In short, the relationship between these sisters also forced me to take a look at my own rocky relationship with my brother. While reading, I was able to not only see myself as that older sibling (Greta), but also as that younger one (June), fighting through the feelings of being alone with nobody understanding you whatsoever. I could see how much they loved each other while hating each other at the same time, and it forced me to take a look at it from the younger sibling’s perspective. And while all of that points to a strong, personal experience with this read, it truly didn’t click for me until I had one of those “a-ha” moments and realized that this wasn’t the story of the uncle with AIDS, but rather the uncle’s partner with AIDS. I can absolutely be thick in the head at times and it took me awhile to come to this realization, but man, once it hit me, it hit me. It almost became a completely different book to me, and I mean that in the best possible way. I dread the inevitable big movie production of this, which I am certain is in the works — I dread them ruining my vision of these characters. I dread them thinking they can possibly do justice to Brunt’s words — it’s just not going to happen. Make no mistake about it: this is an absolutely important book to read. There’s a scene toward the end where Brunt describes a visit to a hospital; it might be the saddest scene I’ve ever read. I spent a good 10 minutes re-reading that scene’s first paragraph, fighting back, then letting the tears go. We treated these people so poorly because of our ignorance, and I feel that Brunt said this without actually saying it. There’s a subtext throughout that she just absolutely nails. And what I came to realize is that this isn’t the story of a family’s reaction to a member dying of AIDS — it is simply the story of a family. This entry was posted in daily life of a teacher, just random and tagged Alex Award, Carol Rifka Brunt, Choose Your Own Adventure, Tell the Wolves I'm Home. Bookmark the permalink. She nailed the 80s and you nailed the book. Wish I could have been there to discuss it.